Which Labrador Colour is Best? 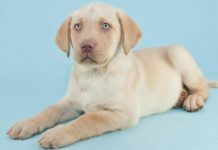 Home Breed Information Which Labrador Color? Wondering which Labrador color is best? Or which color Labrador you should get? [wp_ad_camp_5]We take a look at the different colors of Labrador. Helping you to find out more about the chocolate, black and yellow Labrador Retrievers. And the various shades that these Labrador colours can be. 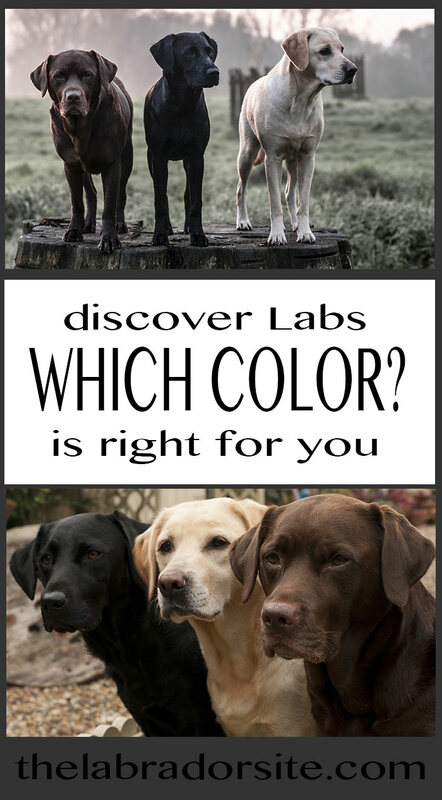 To help you to decide which is the best Labrador color for you and your family. 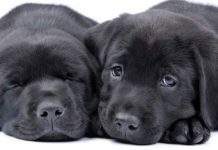 Do Labrador Dog Colors Matter? 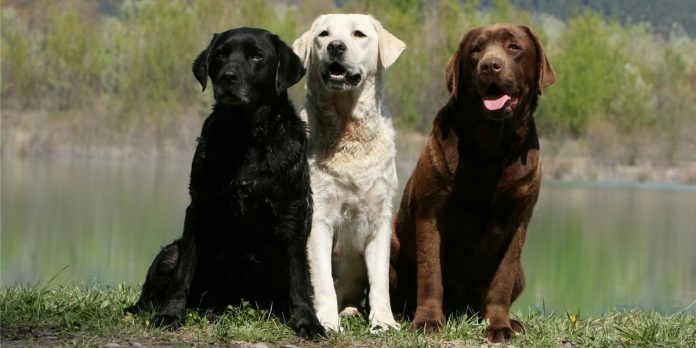 The three different colours of Labrador are often associated with different roles. 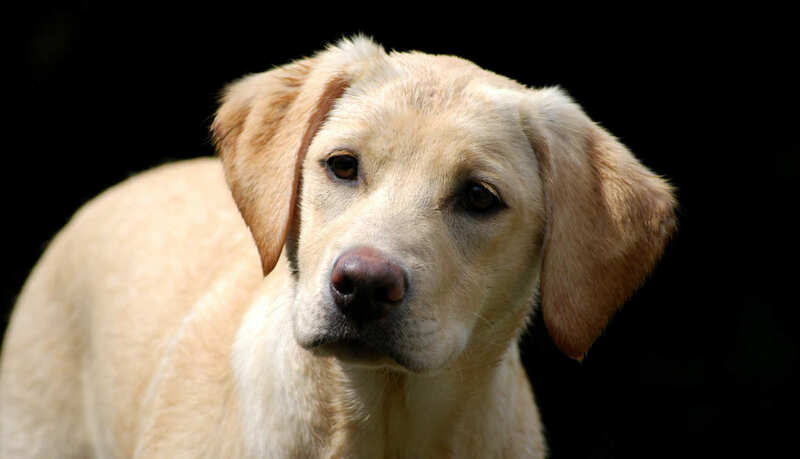 The yellow Labrador has become associated with Guide Dogs for the Blind, the black Labrador with gundog work and the chocolate Labrador with pet homes and the show ring. 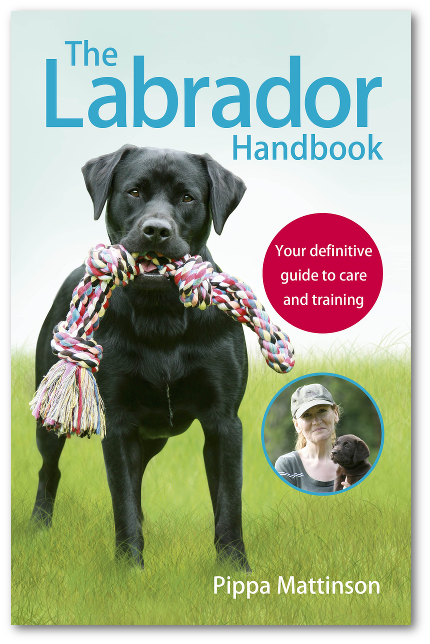 But of course these are just broad generalisations and in reality, Labradors of each colour have embraced all the many roles at which these amazing dogs excel. There are three main Labrador colours, and a huge variety of shades of colour too. To find out much more about where these Labrador colors came from, and how they inherited their lovely coats, head over to our in-depth article on Labrador colour inheritance. Yellow Labradors are well known for a variety of roles, but perhaps best of all for being Service Dogs. They are nice tempered, easy to train and full of love. Although popular for highly trained roles, and of course very photogenic and therefore frequently used on charities literature, the yellow Labrador can still make a magnificant pet and be popular in the show ring too. 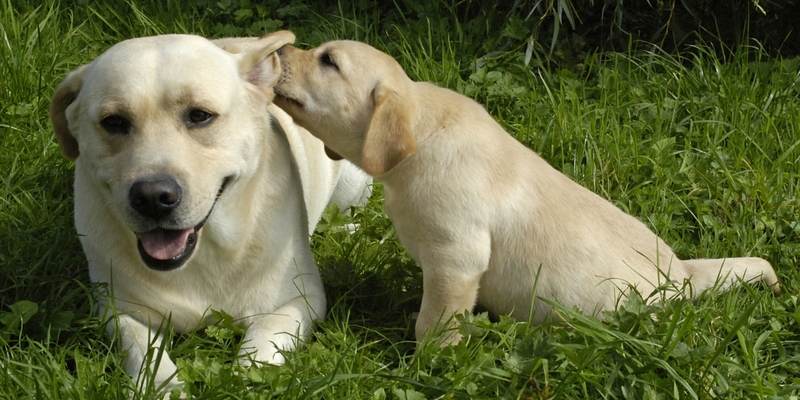 You can find out more about the wonderful Yellow Labrador in this article. Fox Red Labradors are officially a section of the much more common Yellow Labradors. These dogs tend to come from working lines, and have a more orange hue to their coats. They are still classed however on Kennel Club documentation as yellow Labradors. In recent years some people have begun to refer to yellow Labradors as fawn Labradors. 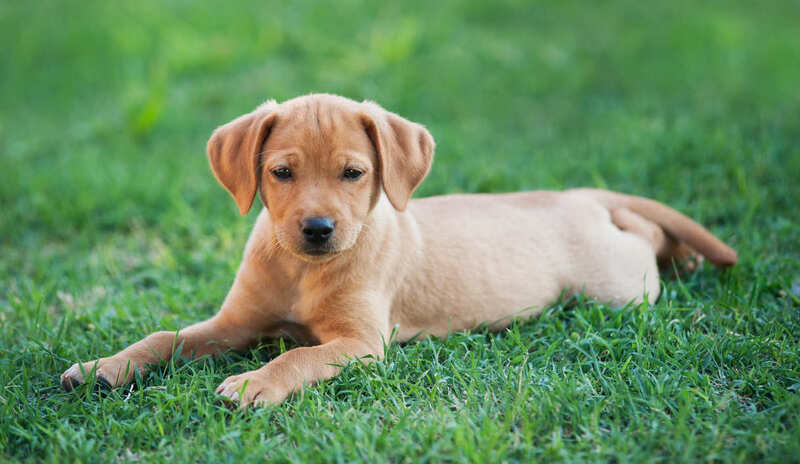 If your Lab pup colour is slightly darker than the traditional yellow, but not as orange as a Fox Red Labrador, you might well refer to him as being a Fawn Labrador. However, this is not an official Labrador color, nor indeed is it really one which is referred to by Labrador breeders in the way that Fox Red now is. Black Labradors have long been favoured as gundogs, but also make wonderful pets, companions and agility dogs too. They are the most common colour of Labrador, due to the way in which their colour genes are inherited. Perhaps for this reason, they are a little overlooked when it comes to people’s top picks for the best Labrador colour, but they are still really remarkable dogs. 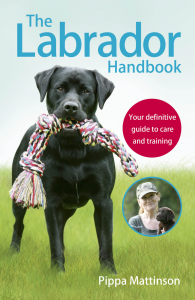 You can find out more about our wonderful black Labradors in this article. 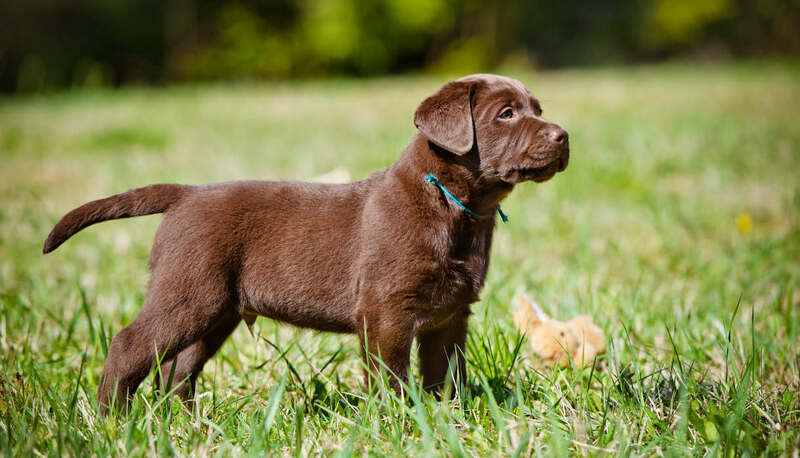 Chocolate Labradors make great family pets, as well as playing a role in the Show Ring. In America, chocolate Labradors are quite firmly established in hunting lines. However, it is worth bearing in mind that in the UK, Chocolate Labradors have only recently been achieving awards in the field. Black and yellow Labradors still taking more prominence at least in Field Trial circuits. 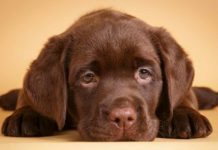 In our extensive article on Chocolate Labradors we will let you know all about the chocolate Labrador. Where he comes from, his pet suitability and much more. Silver Labradors are a fairly new trend in Labrador breeding. This amazing color inspires a lot of comments from Labrador fans, both positive and negative. The color varation from chocolate is caused by a diluting gene, but how this got into the breed is the source of some controversy. 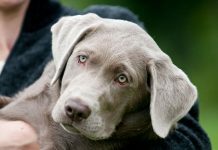 In our extensive article on Silver Labradors we take a look at where they come from and how to buy a healthy silver Labrador Retriever puppy. Which Is The Best Labrador Colour? Some people have a strong preference for a particular colour, but others are quite happy with either. 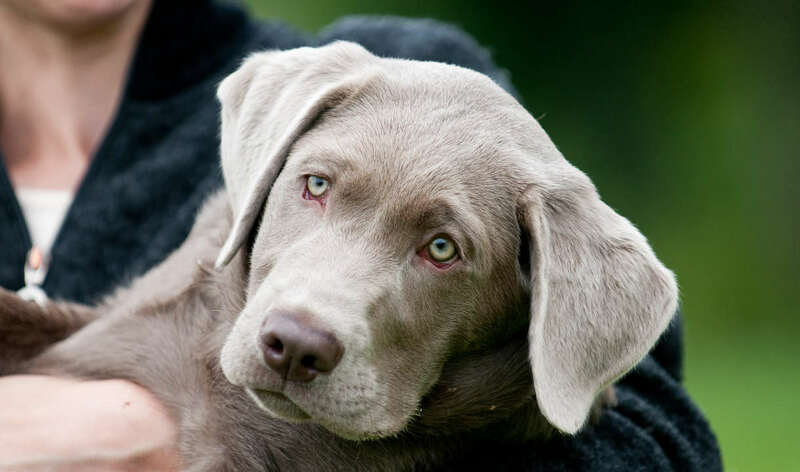 If you are not fussy about colour, you will have more choice of Labrador breeders to put on your shortlist when setting about choosing the right dog. Although you might love one particular colour to look at, do think carefully about your prorities when it comes to picking a puppy. Perhaps what really matters is your Labradors breeding: his parents temperaments, roles and health. Whatever your colour preference it is worth bearing in mind that Labradors have become divided into two quite distinct types, show, and field. [wp_ad_camp_2]Finding a suitable dog will probably depend more on choosing the right type, than on choosing the right colour. With some colours you will have more choice in one type rather than the other. And with some types you will have more choice in one colour than the others. To find out more about the differences between show and working bred Labradors, check out this article comparing the Bench and Field varieties of Labrador here. When picking your new Labrador, you might be looking for an adult rather than a puppy. When rehoming from rescue centers you won’t in all likelihood have a choice of colour, but you will be getting the opportunity to give a lovely Labrador a better life. To find out whether a rescue Labrador might be right for you and your family, take a look at this article. Which Labrador Colour Is Your Favourite ? Which Labrador colour do you prefer? Why not share your reasons with us in the comments box below! Next articleBloat In Labradors: What Are The Risks? I own 2 American Field Labradors. One Silver and other is Charcoal. Excellent, smart and were so easy to train! Best dogs I have ever owned. Love my boys…. its amazing how many people dont know much about labs…difference between american field type and English show type…and some breeders combine the two . Hi! My name is Maya and I’m a huge fan of labs. I own a black lab named Indy and he is absolutely awesome! He has a block head and I belive block heads are adorable. Not to be rude or anything, but Troy, you really shouldn’t judge a lab by their heads. Personally, I think block heads are the most attractive! My favorite color is silver, as I am a fan of Weimaraners too! My other lab is Pearl, who is a rare white lab, not mentioned here on this site. True, she really is a yellow lab by classification, just a really pale one. She is very loyal and friendly but also guns shy and agressive to smaller dogs. She has lots of hunting in her, for her father, Indy, is a wonderful quail and pheasant retriever. I all around love labs, and shout-out to anybody else who also loves them! Our Chocolate Lab puppy is quite aggressive. She’s 8 months old. Is that normal? How can we stop her? Hi Aubrey, It sounds like you might benefit from a session with a canine behaviorist. Make sure you find someone who only uses positive reinforcement methods, your local vet should have contact details for someone in your area. In the meantime, you might also find it helpful to post your question on The Labrador Forum, where we have lots of knowledgable members who might be able to give you some good advice. Looking to find someone who has a white lab. We have paid down on a female white lab! The pup is going to be about 3.5 weeks old! The parents are both white! Really would like to hear back from a white lab owner! Usually people breed brothers and sisters to get the white or silver colors. Also diluting the breed with other dogs. Be careful with the color thing. I purchased a chocolate lab for our family. He’ll be one this coming March. He’s so smart, easily trained and loveable…but chews up everything. And I do mean EVERYTHING. Hoping he’ll outgrow this phase. I have had several of the 3 main Colors of labs. Yes, each lab has a personality, but the way a owner treats their pup will determine the outcome. One guy in these comments mentioned how he had an older black lab then had kids and while they were still having children they got a chocolate lab. He determined that the chocatebwas the better family dog so therefore that’s his favorite. That’s just not how it works. The black lab, based on how old his kids are and how old the black lab is, was 5 years when he had his first child. Don’t you think that was a shock to the dog? Of course it was. I personally like the black labs because Injust think their costs are beautiful. I would recommend judging their heads. The block heads are my least favorite. They just aren’t that attractive of a dog. They are ALL great around children unless you are a heartless heathen who raises a dog to be hateful. So, as someone who has had 8 labs of all colors, the shade of the lab does not represent their behavior characteristics. That is just nonsense. Go to any college like Auburn, Mississippi St, Ole Miss, Georgia, Alabama, (there is a pattern here ?) etc. where they train labs as hunting dogs or service dogs and they have all the colors of labs. The block-headed labs are adorable. I believe they add a calming to affect to the lab. I don’t know if it’s just me, but block-headed labs seem more trustworthy to me, anybody else notice that? We have a 3-year old yellow, a black of nearly 2, and have just completed the family with a chocolate pup. They are all wonderful dogs and a constant joy. Friends are amazed when we tell them that the black and chocolate are half-sisters, having been bred from the same chocolate father, but of course the black girl’s mom had the dominant black gene. I had a Black Lab just walk in my door last year. She had her collar on and I tried repeatedly to call the owner only to get the voicemail on the first ring. I already had another female beagle and I really didn’t know what to do. This girl was just covered in fleas and ticks from head to tail. She had chewed her to the point she had scabs everywhere. Her tail was so God awful you could see the bones in her tail! I decided to keep her and at first her and the beagle didn’t get along but eventually they got use to each other. It was the best decision she turned out to be the best dog and friend I’ve ever had. She goes where ever I go, when possible, and has been the best companion dog ever! I’ve never had a lab, so wow, she’s just an amazing, fun loving, loving, and just all around best friend anyone can ever have. I’m so glad she walked in my door. Dear Michele, that’s a beautiful story, and I’m so sorry about your loss of a beautiful boy Buddy. I know that heartache all too well. I lost my beautiful cream Labrador August 13th, just before my son’s wedding. He was supposed to be in the wedding, as it was his dog from his 11th birthday, but I was his Mama!! I cry everyday to, and we never saw it coming. It was a great loss, and I feel like no dog could replace him, but if you have alot of love to give, there are many a dog out there that needs your love to. Randill will always be loved, and always remembered!! All the best in your future and someday loving another dog for their special ways. I will be honest, personally I never really owned a lab but I have been considering recently to adopt one. I’ve been doing some research regarding labs, mostly on color and have come to read that chocolates (which happen to be my favorite shade) is the least common of the three (yellow, black and chocolate) with black being the most common and dominant shade, yellow in the middle. I can’t decide and for some reason, I don’t think it matters but they say that color does play a role in the personality, temperament and behavior of the dog and unfortunately, my fave happens to be the most stubborn (according to the internet, chocolates are the most hard headed). But we all know that you can’t take everything on the internet seriously (wink) cause we all know we’re reading someone else’s opinions not particularly facts. Anyway, for future lab owners and potential lab parents, good luck on your journey with finding your perfect lab! wonderful-where’s autocorrect when you need it? I recommend black labs, as the enormous amount of dog hair that is shed won’t show on your clothes and furniture as much as lighter dog fur would. All colors are wondweful dogs. I have had many breeds of dogs since childhood. My husband and I have had our first lab (a black) for 8 years now. He used to breed Mastiffs. She is a fantastic, child nurturing family dog. The second most notable thing for me is how strong she is. At just about a year old when she was going through her chewing phase (and grew out of out of in a year) she solo dragged an old LARGE LAZY BOY CHAIR that we set by the trash from one side of our house all the way to the other side in the middle of the night! And she is only about 65 pounds! I’m sure she did that so we would not see her chewing on it lol! We got her some large beef bones and that satisfied her, and we did not have anymore chewing issues since. Plus she grew out of that in several months and never touched the indoor furniture. I enjoyed reading all the beautiful stories. My heart was broken Nov.29,2018 when my best Buddy passed suddenly at age 8 1/2. He helped me through some very dark times. Was there for me always. It is 3 months and I cry even writing this. One morning we woke and he didn’t want to stand. I’m handicap and spend most of my day in a recliner or scooter. I can walk some. I mention this because it took every ounce I had to put a towel under him to try & raise him. No can do. I rolled him on a rug and pulled him into a room that I could get down close to him. While I tried for 2 hours to call people I knew to help me. For some reason noone was there. I tried to get the attention of garbage truck drivers, fed ex drivers. But noone. He laid in my arms took deep breaths and passed away. Buddy was my everything. He would get me up when I fell, lay next to me when I was sad or to calm me. Gently kiss my tears away. Steady my when needed. Bring me things I needed (and sometimes things I didn’t need lol) My shadow in being and heart. My niece trained him for me. He was not purchased knowing I would need him for therapy needs. But, when my life took a dramatic change he was there always. Don’t know how to heal from this. He had a strange quirck that we never understood. He could hear/see the white streaks very high in the sky that airplanes left. He would bark at them obsessively. He saw/heard them before we could. We could never hear them & barely see the white steak. Buddy was my everyday companion for my 12+ hours I was aloan everyday & through the rest of the night. Don’t know if color made any difference. Buddy was a red fox color. Loved kids, cats, dogs LIFE. Saved me & my 1 year old grand daughterfrom a person coming into our home by barking a bark I had never heard before until police got there. He was the perfect sweet boy. I lay here today reading all what has been said and my husband wants to take me to look at puppies. My family is worried that I’m so sad without him. But, no new lab regardless the type ‘English or American’ ‘Red fox, black, yellow, chocolate or silver’ will be my ‘Buddy’ But maybe in time it he or she will become a buddy to me. Not sure I’m ready but will look. In any case, in my opinion after owning many dogs in my 60 years. You can’t go won’t with the most beautiful breed as the Labrador. So sorry for your loss sweetie. I cry over my toy poodles passing in 2012. I had a black lab years ago who was so sweet. I will prY the Lord comfort you in your grief. Take care. I just read ur story n my heart ?for you. My Snoball passed away 3years ago and i still cry every day. I’m not handicapped but like now I’ve been in bed for 8 days with Type A and B Flu and my Snoball was ALWAYS by my side. She helped get the the bathroom when my back was out. She helped me when ever i was sick, just being by my side. She was always there when I was sad. She was just the BEST DOG !! She made me laff n always listened to me when i talked to her. She was my best friend. My family wants us to get another dog… they tell me a new puppy will b good for me. It will cheer me up ect…. but i said the same thing another dog will not b My Snoball i want her back not a new one. I’m 55 yrs old n my Snoball was 11yrs old n she was a yellow lab. Yes a yellow lab with a name of Snoball!! ?that’s the only thing that made me smile as I’m writing this to you. I just wanted you to know that i definitely feel ur pain because mine is 3yrs n it’s not getting any better!!! Hope urs will. Maybe my Snoball and ur Buddy are playing with each other in doggy heaven ?. My regards to you!!??? I’ve owned black and chocolate labs. I’ve had many friends that have had Blacks, Chocolates, and Yellow Labs. I’ve hunted with all 3 of the Labs and some of each color have been better than others. Both have a lot of energy. Both are great family dogs. We’ve also many other breeds as well that were good dogs. To each dog his own. It depends on how you raise and train the dog. A lab is bred to make the owner proud. That is why I believe they are one of the most loyal dogs a human can own. Every dog is a good dog if raised right, but labs have always held a special place in my heart. I have a 13 year old female black lab and he has been an incredible pet. I like to hunt pheasant and unfortunately we could never break her from being gun shy. She was always the fastest dog at the dog park retrieving the dummies and had a drive that would never quite. It broke my heart because she would have been one of the best pheasant dogs ever, but she just didn’t like the sound of a gun that would freeze her up. She is still a wonderful family dog. Since she was gun shy it forced me to get another lab and this time I chose a Male Chocolate Lab. He was the biggest male of the liter and the most aggressive that I could see. I liked the way he would keep his nose to the ground and he definitely picked me. When all the puppies were running around playing he chased me across the yard and basically begged me to take him home. I have 4 kids now (8, 6, 4, 2) and he was by far the best family dog of my two labs. He would lay on the ground and all 4 could jump all over him and he enjoyed every minute of it. They would play fetch for hours with him in the yard. He was a very slow, but effective bird hunter with a great nose. My wife called him my shadow because he was always by my side where ever I would go in the house or the yard. I had to put him down a few days ago because he got liver cancer and it was the hardest thing I ever had to do to put him down. Both are great dogs, but in my case the Chocolate lab had the biggest hold on our families heart. We’ve already picked out the newest member of the family and can’t wait to pick up our new Male Chocolate Lab in a few weeks. You can’t go wrong with any lab as long as you take the time to train and exercise them. They have a lot of energy so make sure you take the time every day with them or do the dog a favor and don’t get one. Mine is a more white than yellow, love of my life, I definitely have to personally say my fav color of choice. The breed in general is just breath taking no matter the color. We have all 3 colours and believe their traits are more an individual development vs colour some of the generalizations are true with ours. Our first was Chocolate, he is very loving and loyal but is a touch OCD. Most activities are done the same way everytime. He is the most energetic of the 3 but also holds the most excess weight even though they are all fed identically. Our second is a yellow. He is the most calm of the 3 and happens to be the biggest of the 3. When the other 2 get overzelous in play he will often end up on my lap. We call him the happy hillbilly. Our third is a black. He is the spunkiest and smallest of the 3. He is also the biggest pest for the other 2 always challenging them to play or wrestle. So from our limited sample of the 3 colours, we would have to rate them as Chocolate – most energetic, OCD/stubborn. Yellow – calmest. Black – high energy and spunky/pesty. We love them all and have no favourite and enjoy their uniqueness and individuality. I love them all, but have a preference for Fox Red. I have 2 Fox Res boys aged 6 and 4, and apart from being increibly handsome they ate great fun. I have been told by many lab enthusiasts that by far, chocolate labs are way more energetic. I don’t think the rule always applies – but I certainly think genetics play a role. Black is the most common and dominant genetic colour, with yellow coming in second. These two colours will be found in almost every litter, but chocolate is more rare, and thus has to planned by the breeder. Because of this, temperament isn’t always considered to be the most important factor because the breeder wants chocolate. 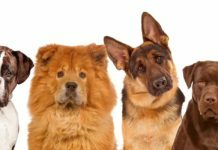 When you breed for looks rather than temperament and soundness, that can sometimes affect the energy levels and overall temperament of the animal. It is also not uncommon for breeders to breed two chocolates together, which supposedly isn’t always advisable; this also can play a role. I also forgot to note that I myself have a black lab mixed with 1/4 golden retriever. His mother was an american “field” bred chocolate lab, so in theory, he should be more energetic than the average english “bench variety” but he is actually quite mellow, and great with children, and the laziest retriever, lol, especially for a one year old. I’m not sure if the golden mellowed him out or what, but compared to other labs I’ve seen his age, he acts like an old man. all 3 colours are great and i absolutely love the breed. i know a lot of people with yellow labs and currently i think overall the yellow lab is the most popular. I own a chocolate lab and I’ve had him for almost a year. he has been the absolute best pet anyone would ever wish for, and though i don’t have much knowledge about the yellow or black labs, chocolate labs are my favorite. mine is very playful and really smart. he has been really easy to train and is very cuddly. i definitely recommend chocolate labs. All colors are great. I have a yellow lab and would love to have all 3 colors one day. My Yellow Lab when I was 16 saved me when I was suffering from depression and having suicidal thoughts because I was bullied. My mom brought him home on July 23rd, 2008. When I saw him at first I thought he was the cutest thing ever, however, I couldn’t stand his quirks for a couple of days because he was a 3 month old puppy that was full of surprises. Yet as time went on, I grew to love him and his quirks, my Luke makes me happy no matter how sad I get I know I have him on my side. He helped me with my depression and made me stronger and I am 24 now. He saved me from my ex who was abusive and from strangers that are up to no good. He has also made me protective of him as I do remember he was attacked by a pitbull that was off leash and aggressive and the pompous owner was being a straight up rude, when I confronted him when my dog was on his leash, he can’t even defend himself and he suffers from anxiety as well. So I went home crying cause my dog didn’t deserve to get hurt. He’s the most loyal, sweet, and my angel that I am immensely in love with him, I love my Luke unconditionally which is why Yellow labs have my heart but I do love all labradors. Such an awesome story. I have a yellow lab also that is my heart. I’ve found yellow labs to be protective and kind in their nature but strong willed and loyal. Black labs have a slightly more playful side, but equally as clever and loyal. 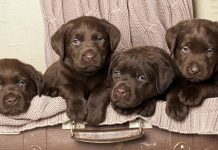 The chocolate labs are far more bouncy, thicker set in stature than the black lab and are slightly harder to train and easily excitable. All 3 colours make great dogs, but in my opinion yellow and black labs make best pets. I grew up with black labs and I am currently owning my 3rd black lab. When I was 2 my 13 year old dog passed away, then we got another the following year. The 1st was named Remy, then we got Roscoe who passed away 2 years ago at 8. Our current dog is Riggs, and he is a 1 and and half old. All the labradors we have owned have been male black labs. I recommend black labradors because of my experience with them, but all lab types are great dogs and extremely loyal. I grew up with labs and my mom always loved the yellows the best, saying they were more mellow. I got my black lab Alice when I graduated high school, who is now 7, and she is the sweetest and friendliest, most beautiful dog! She is always so happy and she does have a lot of energy, so we go to the park to throw her frisbee discs as often as possible. She just has such a wonderful personality and it makes me really love the blacks. I would recommend them, or yellows, for a home family pet because they do so well with children and prove to be very loyal and protective.